Beano announce the new voice of Dennis! - D.C. Thomson & Co. Ltd.
Beano announce the new voice of Dennis! 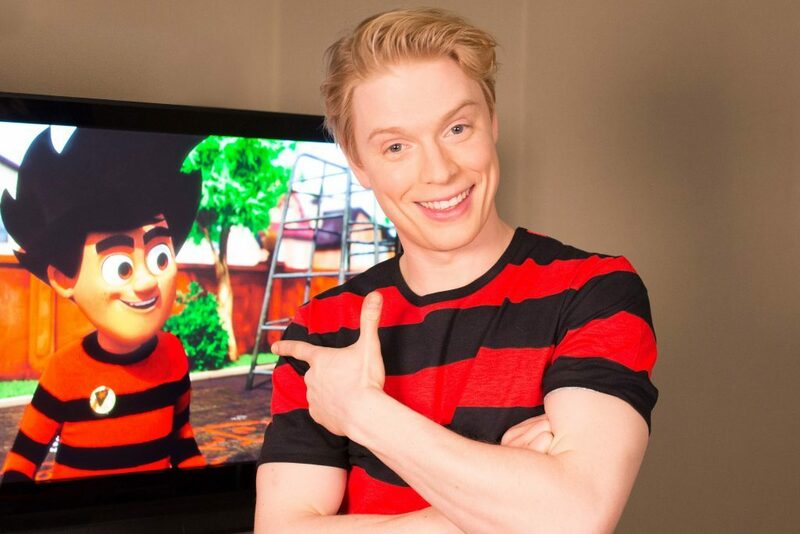 CBBC and Beano Studios today reveal that actor Freddie Fox has been cast as the voice of the comic’s much – loved mischief maker, Dennis, in the all new CBBC series Dennis and Gnasher: Unleashed, set to hit screens in late 2017. Freddie [The Mystery of Edwin Drood; The Three Musketeers; Worried About The Boy] makes his animated CGI debut as the 10-year-old rascal in Beano Town with his best friend, Gnasher, by his side. A behind-the-scenes clip released today shows Freddie getting into character as the spikey haired scamp at a voice record. The much anticipated 52-part TV adventure will showcase a brand new look and feel using CGI 3D techniques to bring Dennis bang up to date for the next generation of fans. Dennis & Gnasher: Unleashed will follow the daring duo and a gang of friends as they get into scrapes in a world full of action packed adventure where rules just get in the way. There will be lots of high energy humour and Dennis’ trade mark inimitable sense of fun where imagination knows no bounds. The gang, which includes familiar friends alongside some brand new faces, will battle with the boring conventions of the adult world, not least Dennis’ life-long adversary, Walter, who is forever trying to ruin their fun. Dennis & Gnasher: Unleashed is produced by Beano Studios and is Executive Produced by Michael Elson alongside Jo Allen, Executive Producer for CBBC.